So you picked up one of Apple’s all-new iPad Pro’s. It’s an excellent device, packing power and screen clarity like never before. Both models feature display sizes that are larger than 10-inches. Not only that, but the displays this time around are almost bezel-less, giving you an excellent amount of screen real estate for watching movies, doing a video conference call, managing spreadsheets, and even giving a presentation. However, even though the screen is a lot larger this time around, it’s still not the best for showing everyone in the room what’s on your screen. And what if you’re at home, and want to watch a movie on your big screen, but the content is on your tablet? Well, there’s a pretty good way around that, and that’s with some iPad Pro to HDMI cables. And as you know, the iPad Pro is USB-C now — not Lighting. So you’re old Lightning to HDMI cables won’t work, and you’ll have to buy new! Not sure what the best HDMI adapter is for your iPad Pro? Follow along below, and we’ll show you some of our favorite picks. Let’s dive right in. Coming up in fifth position , the USB-C to HDMI cable by BENFEI will do just fine. This one, as you might expect, is a simple plug and play solution. It’s simple — plug the USB-C end into your iPad Pro, and then the HDMI end into your external monitor or TV. For USB-C, this is one of the best you can get on the market, giving youvideo resolution support up to 4K at 30Hz and 1080p at 60Hz. You also get compatibility with most displays, monitors and projectors that have HDMI support. In fourth position on our countdown, we have another converter box, but this time by Rocketek. Plug the USB-C end into any USB-C enabled device, including the iPad Pro. On the other side of the converter box, you can choose to use HDMI or VGA, and there’s even an audio-out port in the event that you don’t have an audio over HDMI cable. 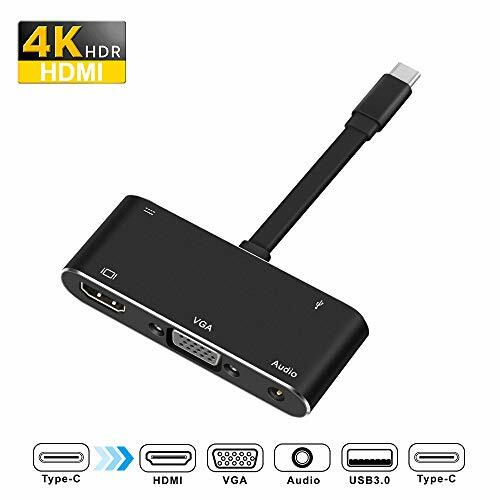 As an added bonus, the converter box supports up to 1080p HD for the VGA port; however, if you’re using HDMI, you get display support all the way up to 4K. It comes in a nice, sleek black color as well. 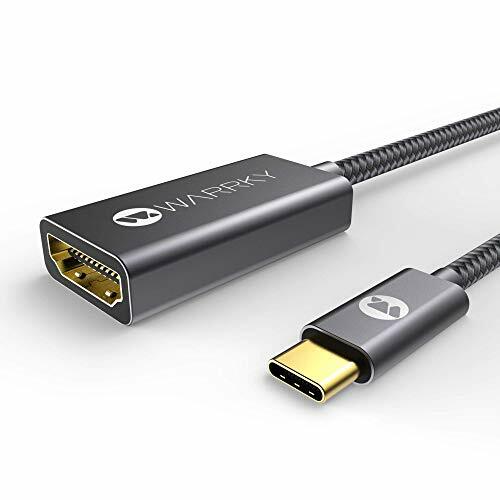 Warrky is up next with their own USB-C to HDMI Adapter box. Another plug and play solution, simply plug into the iPad Pro, and then use a separate HDMI cable to plug into the converter box, and then your input device. The conversion happens instantly, with whatever is displaying on your iPad streaming straight to the screen via that cable. On top of that, Warrky’s supports up to 4K resolution at 60Hz, but is also backward compatible with 1080P, 1080I and 720P. The ends are also gold-plated, which means the ports resists corrosion, ensuring a stable signal without loss of data. 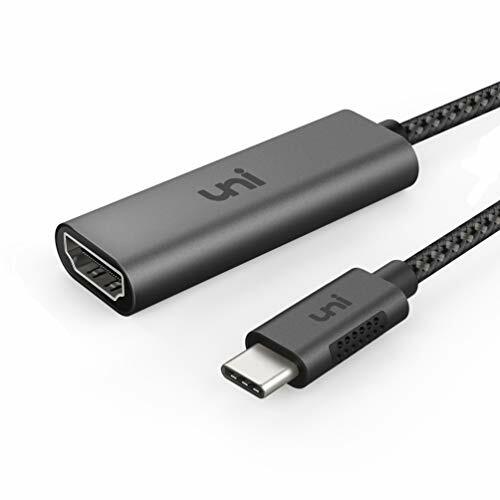 Coming up in second, we have the USB-C to HDMI Adapter by uni. The benefit to being USB-C is that you’re not limited to just the iPad Pro, but any device that supports USB-C. It supports top resolutions, allowing you to stream your content through the HDMI wire effortlessly. Now, this is another “converter box”, which means it doesn’t come with an HDMI cable. You’ll need to supply your own to plug into the box, and then the TV or monitor. Keep in mind to not use a cable on HDMI 2.0 or below, otherwise you’ll experience flickering. And finally, coming up as our number one choice on our countdown, we have the USB-C to Digital AV adapter by Apple itself. This is the best adapter that you can get off of this list. It’s made directly by Apple for the iPad Pro — you won’t see any “Accessory Not Supported” notifications here. This one works flawlessly. It plugs easily into your iPad Pro; however, it does not come with an HDMI cable to plug into the converter box, which you’ll need to buy separately. Here we’ve shown you five of our favorite iPad Pro to HDMI cables. Any one of these are easy to hook up to your iPad Pro, and then to the big screen. They’re all a plug and play solution, however, we do have to say that we much prefer the option from Apple, as you’re most likely to get the most reliability out of that. And you certainly will never see that dreaded “Accessory Not Supported” message. 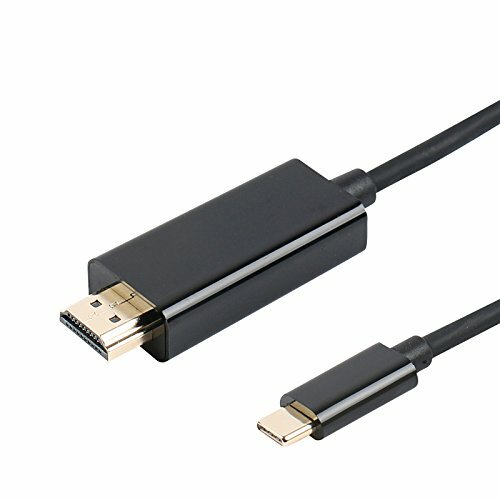 Do you have a favorite HDMI cable for the iPad Pro? Let us know in the comments below. We would love to hear from you!